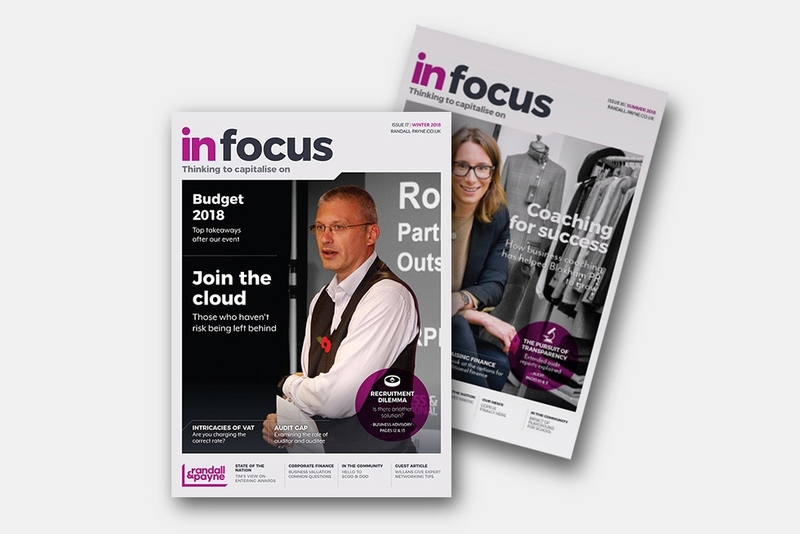 In Focus is our quarterly magazine, and it’s packed with everything you need to know about the latest financial news and developments. In each issue, our team of internal experts and partners offer practical advice on growing your business, guide you through changes to the law, and provide marketing tips for business owners. To receive a free digital copy each quarter, simply complete the form below. By ticking this box, you confirm that you are happy to receive digital copies of In Focus magazine when they are published, as well as regular Randall & Payne e-newsletters. We will never pass your details on to third parties and promise not to bombard you with too many emails. You can opt out of marketing emails at any time.